454grm (1lb) of glass rods. Original Aether was extremely labour intensive which was why it was not available to re-sellers. Aether 2 has solved the production issues so, we're making it available to re-sellers. It also has an improved viscosity curve. Please, note that Aether 2 and Zephyr are not the same. Aether 2 is a reactive clear and Zephyr is not. Aether 2 will react with silver glasses and it does a better job of holding the lustre under encasement. To help distinguish the two clears, Aether 2 will be wrapped in white paper and Zephyr will be wrapped in brown. 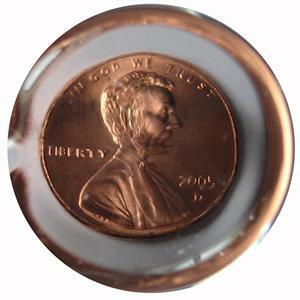 Photograph has been taken over a penny to demonstrate optical quality. These Aether rods have been high graded to remove any rods with scratches, stones or more than a reasonable amount of seed bubbles. We have allowed for more variation in rod diameter and roundness.